Not too long ago, I came across an article that included some kind of statistics about pastors who have thoughts about leaving the ministry. I wish I had kept the link to the article. But, nonetheless, I’m sure we’ve all heard varying stats about pastors who, due to burnout, have either a) left the ministry or b) have thought about it. I know there are many who fall into either category. 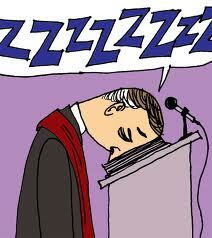 And I can sympathise quite deeply with these pastors because I am one myself. It’s interesting because a very close ministry friend of mine recently preached a message in which he gave statistical findings he had found concerning the most stressful jobs in America. Coming in at #4 was that of ‘senior pastor’. Since I’ve mainly been in full-time ministry the past 9 years, though only 4 of those years pastoring, I cannot really say for sure how pastoring compares to some other fields. I’m sure being a president, prime minister or medical doctor would be high on the list as well. And I think I remember my friend noting that some of these were just before the pastor at #4. But I want to give a reality check here about pastors who have thought about quitting, giving up on ministry. I would venture to say that every single pastor has pondered such. I believe it as simple as that. Statistics can be helpful and I have quoted a few in my lifetime, and will continue to do so in the future (probably when they serve my point best!). But it isn’t some great statistical find to tell us that such and such [high] percentage of pastors have thought about quitting ministry. Maybe you would be, but I’m not shocked at all. I confess that I’ve thought about quitting myself. A few times that is. By God’s grace, I have stayed the course. And whenever I lose focus, I try and bring myself back to two main points: a) he is the great shepherd and b) his grace is sufficient in my weakness. That has got me through a couple of low points in my short time of pastoring. Still, even for those who have actually quit, I would venture to say it is not always a terrible thing. It’s possible that they were never called into such a ministry role in the first place. Or maybe God called them into such a role for a season and then it was time to move on. Or, yes, they did get burned out. Honestly, it’s hard to teach an exact class in seminary about the 7 habits of highly effective pastors who don’t burn out. It really comes through the proverbial on-the-job training and actually walking through full-time pastoral ministry. You are so much more shaped in the midst of the pastoring rather than in the classroom. Internships/practicums might give one a taste. But they are normally very short-lived to give a full taste. Thus, every person preparing for the shepherding ministry needs to know they won’t really know until they get there. It’s like marriage – you don’t understand the challenges until 6 months or a year after you are married. The same with children. Yes, one can move into pastoring with some great tools – a solid prayer and listening heart before the Lord, a solid spouse, a team of strong encouragement (and if such a team doesn’t seem to be there, it might be that God would say as he said to Moses – What is that in your hand?, Ex 4:2). But the rubber meets the road in the midst of leading and shepherding the sheep. So, just to be clear, in regards to the statistics floating around about how many pastors consider quitting full-time ministry – they should not shock anyone, pastor or non-pastor. And it really is ok that the thought arises in the mind. We can take such thoughts captive before the Lord. And, if you are not a pastor, make sure you keep your eyes, ears and hearts open to notice signs of discouragement in your own pastor. It’s highly likely that he or she will need your words of encouragement, strength and blessing on a very regular basis. This entry was tagged pastor. Bookmark the permalink.